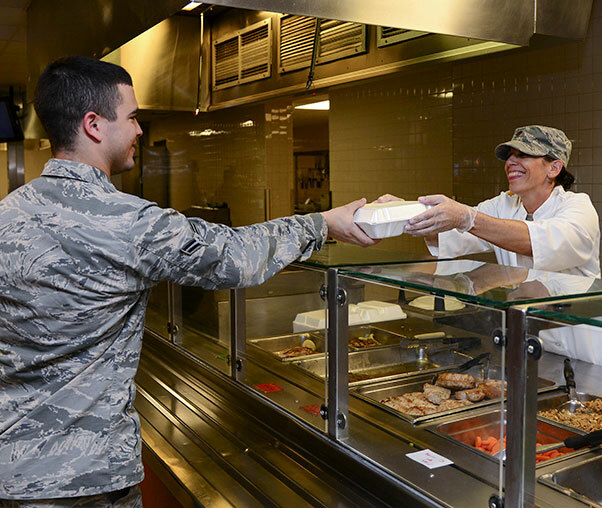 Maj. Erika Chute, 355th Force Support Squadron commander, serves an Airman a special lunch during the Air Force’s 70th Anniversary meal at the Desert Inn Dining Facility at Davis-Monthan Air Force Base, Ariz., Sept. 18, 2017. 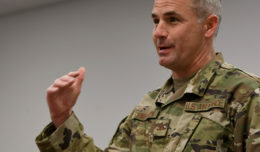 The 355th FSS leadership decided to serve Airmen in order to show appreciation for all they do. 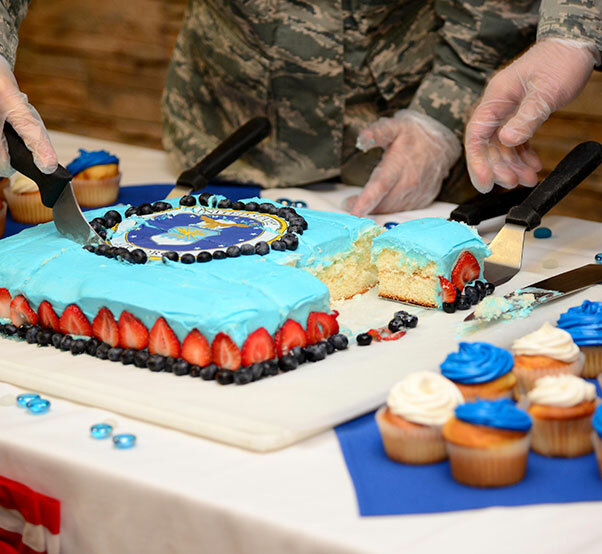 Airmen from the 355th Force Support Squadron cut and serve slices of cake in celebration at the Air Force’s 70th Anniversary at Davis-Monthan Air Force Base, Ariz., Sept. 18, 2017. The Desert Inn Dining Facility was also lined with decorations and provided free Air Force themed towels to Airmen in attendance. Airmen from the 355th Force Support Squadron serve a special lunch during the Air Force’s 70th Anniversary meal at the Desert Inn Dining Facility at Davis-Monthan Air Force Base, Ariz., Sept. 18, 2017. 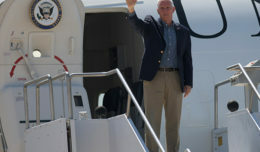 The lunch consisted of New York strip steak, citrus salmon, cake and cupcakes along with other regular menu items. A plate of New York strip steak and citrus salmon is prepared for Airmen in celebration of the Air Force’s 70th Anniversary at Davis-Monthan Air Force Base, Ariz., Sept. 18, 2017. 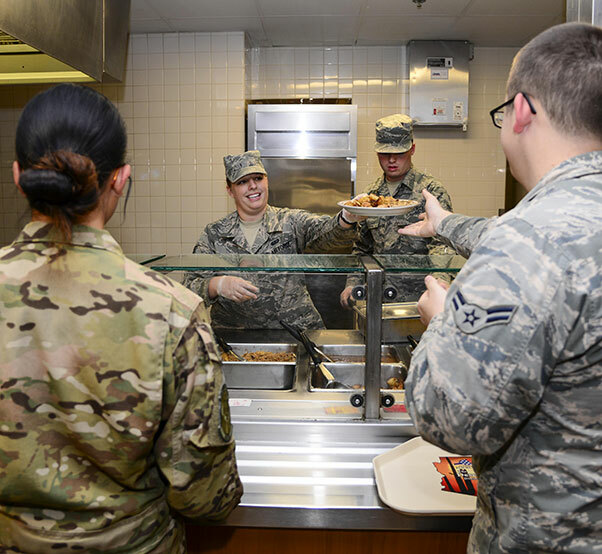 Airmen working at the dining facility worked diligently to make sure the celebratory meal was cooked to perfection. 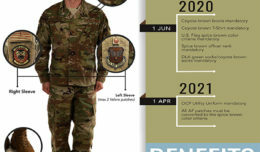 Airman 1st Class Elijah Boccolucci, 355th Security Forces Squadron member, Senior Master Sgt. 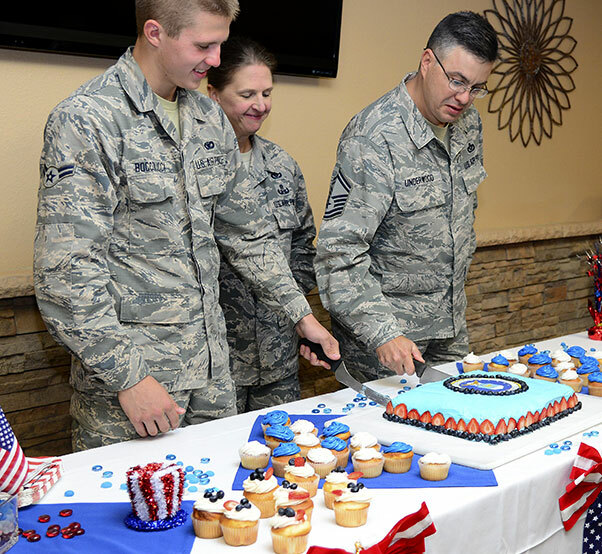 Thomas Underwood, 355th Civil Engineer Squadron superintendent, and Col. Laurie Richter, 355th Mission Support Group commander, cut into a cake in celebration of the Air Force’s 70th Anniversary at Davis-Monthan Air Force Base, Ariz., Sept 18, 2017. It is Air Force tradition to have the oldest and youngest Airmen to perform the cake-cutting which symbolizes the passing of Air Force heritage.